Tom arrived at Quoin Island Turtle Rehabilitation Centre (QITRC) in May last year with horrible injuries from a boat strike and was missing a back flipper. Bob McCosker, owner of QITRC spoke to Gladstone News about Tom’s journey back to the ocean. “After Tom was named, we discovered that this cute turtle had been sexed by turtle researchers and was actually a female,” Bob said. Tom was initially collected from Fisherman’s Landing and weighed in at just 8.5kg, upon her release Tom was a much healthier 20.1kg. 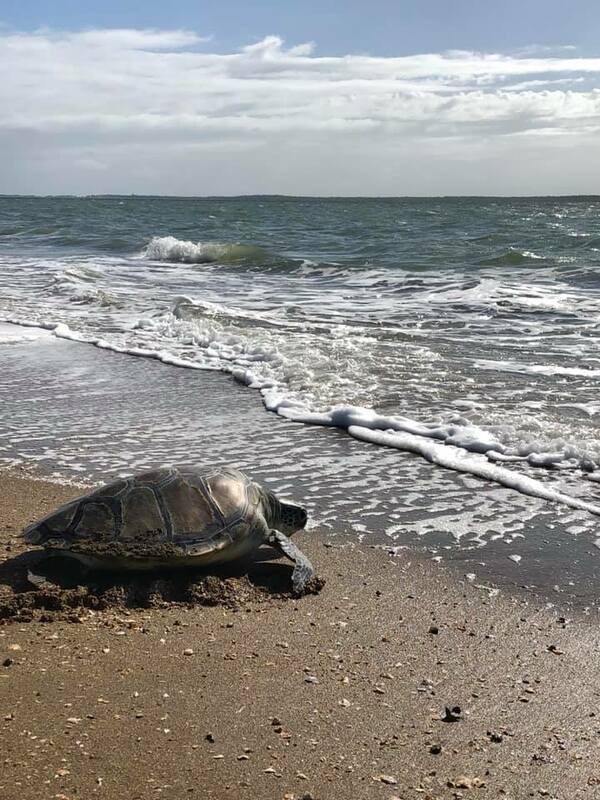 Two other turtles, Ziggy and Shelly who had also been rehabilitated at the centre were released back into the ocean from the Emu Park Jetty recently. Ziggy arrived on Quoin Island in September after being collected from Yeppon’s Farnborough Beach. Shelly also came in September and was found at Emu Park. Both turtles were underweight, covered with barnacles and floating on the water’s surface. Volunteers at the Quoin Island Turtle Rehabilitation centre have urged boaties to be vigilant when they are out on the water and keep an eye out for any floating turtles. If you find a sick or injured sea turtle, please call Quoin Island Turtle Rehabilitation Centre on 0408 431 304 or call 1300 ANIMAL.